We work predominantly with the trans community and those who impact on trans lives; we particularly specialise in supporting young trans people aged 11-25. 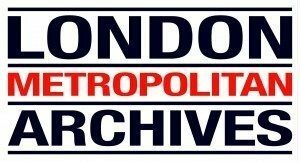 London Metropolitan Archives (LMA). We are home to an extraordinary range of documents, images, maps, films and books about London. On this site you can find out about the archives we hold, and get practical advice on how to use them. We run a wide variety of talks, guided tours, film screenings, exhibitions and other events, and you can find out more about these as well as the latest updates from the archives on our news and events page. LMA is free to use and open to everyone. Whether you’re tracing your family history or researching the history of your neighbourhood, if you’re interested in London or Londoners, LMA is the place to visit. University of Warwick , Faculty of Social Sciences, Department of Sociology, Centre for the Study of Women and Gender. This centre is interdisciplinary and draws its membership from across the university. It aims to provide a focus for research and teaching on women and gender in the university and to facilitate the development of interdisciplinary research in the area of women’s and gender studies. Women’s and gender studies has been established for twenty years at Warwick, the Centre itself was established in 1993 and in the summer of 2002 it became a research centre based in the Department of Sociology. It aspires to a Judaism that is always an active force for good in the lives of Jewish individuals, families and communities today, and equally makes its contribution to the betterment of society. Largest dedicated funder of heritage in the UK since 1994. Leading advocate for the value of heritage. Supporting the full breadth of heritage. £375million to invest each year. Offices across the UK. Islington Museum opened in May 2008 in a brand new space at 245 St John Street, under Finsbury Library. A friendly and warm environment for everyone to enjoy and explore the history of Islington.You can find information on visiting us and contact details that will help you plan your trip. Our DisabledGo profile​ will give you an access guide to the site. contact the Museum.